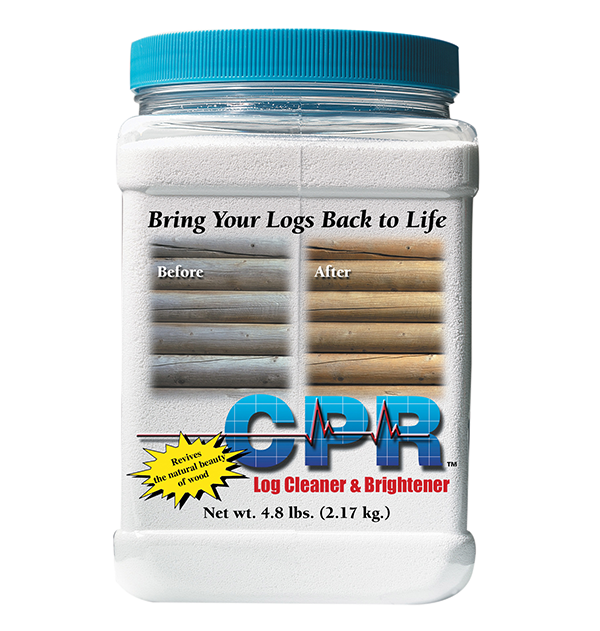 CPR Log Cleaner and Brightener brings your logs and wood back to life. 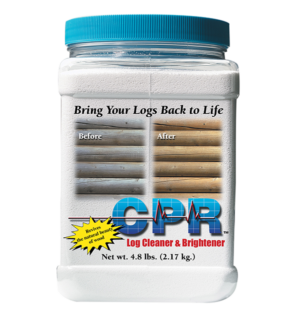 CPR cleans and brightens bare logs and wood, and restores luster and vibrancy when used for routine log home maintenance. 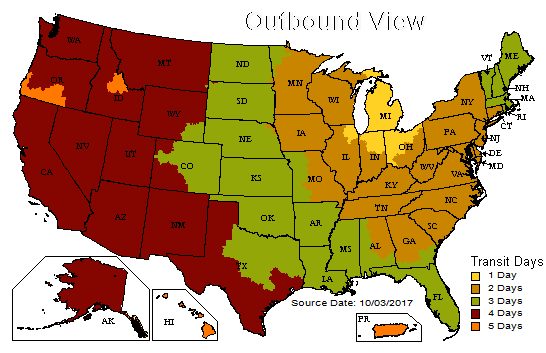 It’s a gentle log and wood home cleaner whose oxygenated bleach formula won’t weaken wood fibers. 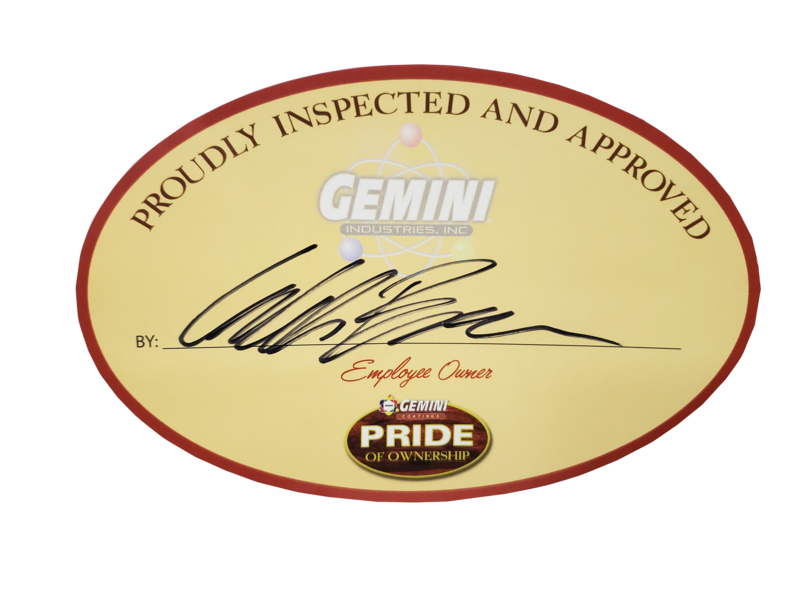 It effectively kills mold, mildew, and fungus, while also removing dirt, dust, pollen and other surface contaminants. Use CPR in conjunction with power washing or media blasting to perfectly prepare wood surfaces before staining, or apply with a pump sprayer and rinse with a hose for routine maintenance.